Experienced Siem Reap Tourist Guide is exceptionally needed for helping you to go deeper into these unbeaten ruins. We know it is hard to look for the knowledgeable guide who can bring you to reach your travel goal. Our team of experienced and professional staff, tourist guides and drivers are passionate about showing you the most beautiful sites and giving you true insights into our culture – providing you with unforgettable memories. AAA Travel & Tours offers Siem Reap tour guide, Phnom Penh tour guide and tour guide to all destinations in Cambodia. Our team will satisfy you with knowledge, flexibility, hospitality and can speak in many different languages such as English, French, German, Chinese, Spanish, Japanese etc. 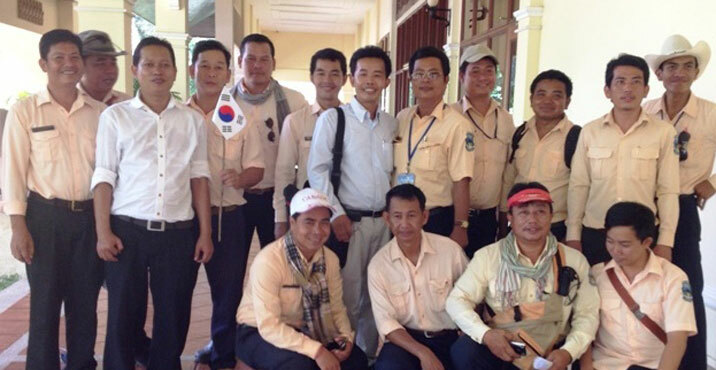 They are all official Cambodia tour guides, trained by the Ministry of Tourism of Cambodia. They know the temples like the backs of their hands and get a great deal of satisfaction out of sharing their love of this unique region with visitors. The uniqueness of AAA Travel & Tours lies in our knowledge and experience of the area. We not only live here, this is our home. We are the “locals” and as such are the experts on everything “Angkor” and “Khmer”. Additionally, we will gladly arrange for your accommodations in Siem Reap depending on your tastes and budget. Who would know better than the locals? 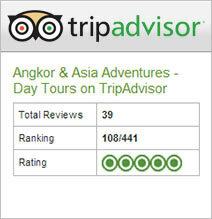 We have consistently been rated one of the best local tour operators in Siem Reap over the last six years. We are quite proud of our superior service and attention to detail which we feel makes us unique. Thanks.